We had a quiet weekend. We finished the final 'decorating' touches on our bedroom. I started work on my garden. It's a work in progress . . . The signs I purchased are Parsley, Sage, Rosemary, and . . . Basil. We have a brave 'momma Robin' in a nest in our backyard tree. She doesn't fly away when I go outside and work in the garden, which makes me feel like Snow White! She's a good momma and guards her nest well. Secretly, I talk to her sometimes, but don't tell anybody or I'll deny it. 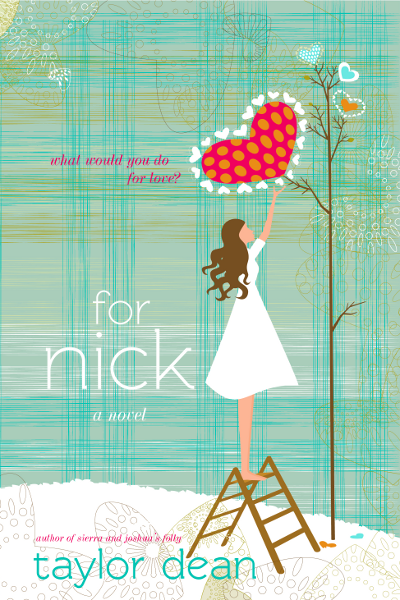 Tomorrow my second proof copy of For Nick arrives and I'll be spending the next few days doing final edits! Thanks, Sherry. Not a very exciting weekend, but it felt good to get a lot of 'stuff' done! I love to work on projects around the house! Thanks for always visiting my blog and leaving comments! I love to hear from you!